Knapp dates from the late 1800s. First residents named the fledgling community Bison, but were disappointed when their application for a post office was rejected. Some other town had beaten them to the name. Instead, they decided to honor someone named Knapp. 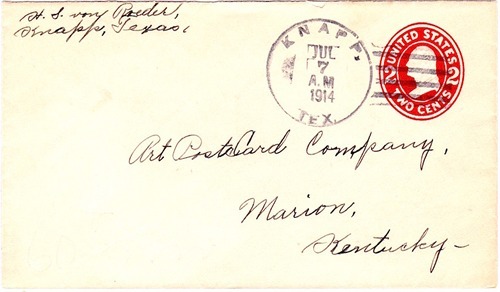 The name was accepted by postal authorities, but the namesake faded into history without anyone remembering the first name or why he / she was chosen. Knapp's short history is preserved by the historical marker shown. First population figures are from 1940 when Knapp had ten residents. It doubled to 20 by 1947. 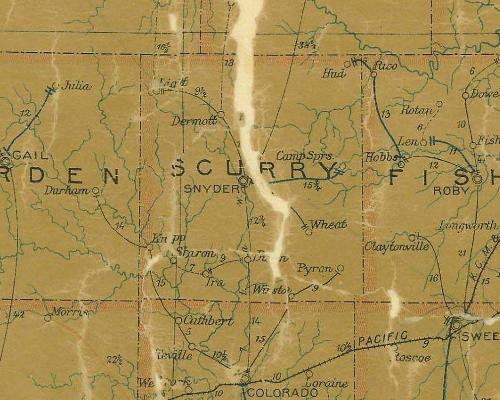 The short-lived Scurry County Oil Boom (50-51) boosted the population to 100 - which seems to have been the town's peak. But the addition of fresh residents didn't save the post office from closing. 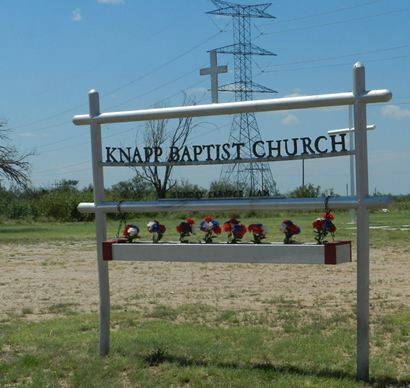 Nothing continued to happen in Knapp for decades and the 1990 census counted only ten residents. The same number was used in 2010. Pioneers settling Bull Creek, 1888, where herds of bull buffalo grazed, called their community Bison. 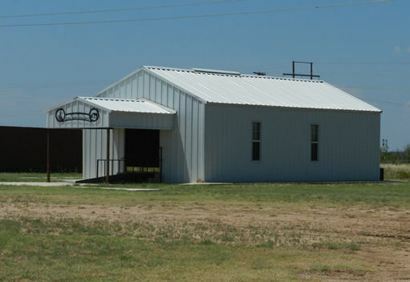 They founded the Baptist Church on the creek bank, the school in a nearby pasture. 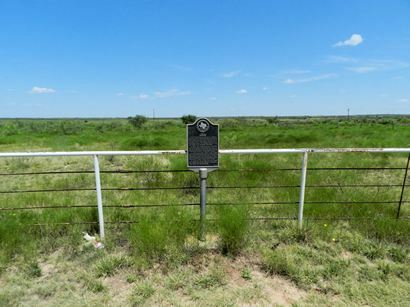 Bison was located on fringe of the ranch belonging to A. P. Bush and Benjamin Tillar, both prominent early Texas cattlemen. 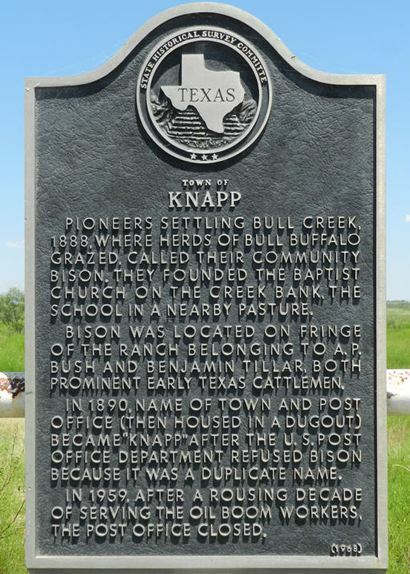 In 1890, name of town and post office (then housed in a dugout) became "Knapp" after the U.S. Post Office Department refused Bison because it was a duplicate name. In 1959, after a rousing decade of serving the oil boom workers, the post office closed.